It's a love game. It's a passion of taste and an experience of feelings! Save the dates: 7-18 November 2017 in Bansko, Bulgaria. 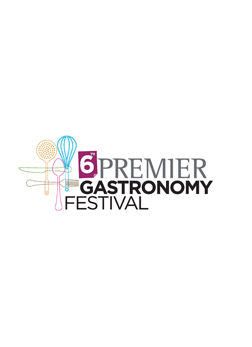 Premier Luxury Mountain Resort welcomes you at the 6th Premier Gastronomy Festival this November in Bansko and celebrates with you the love of taste and the passion for culinary creations. 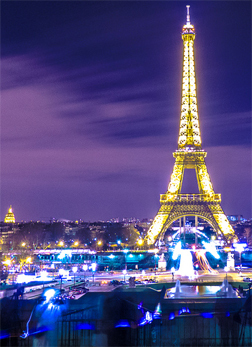 Are you ready to experience another extraordinary culinary journey? 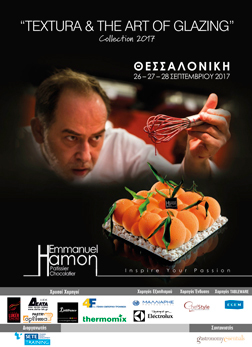 A unique culinary educational journey will be held from 21-27 January 2018 in Paris by Gastronomy Essentials Ltd. for only 12 Chefs who will aspire to participate in this extraordinary culinary experience. 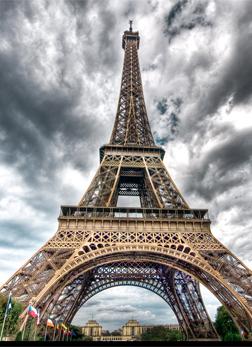 During this journey, we will enter the culinary empire of the planet's top Chef, Alain Ducasse, attending a 3-day training program at the Ducasse Education rue de l'Abbe 41, Argenteuil, Paris, where we will be shown the impeccable quality of his gourmet dishes from his fine dining restaurants. We will also discover the Chef's own gastronomic philosophy at its simplest form, as it exists in his Bistrots. 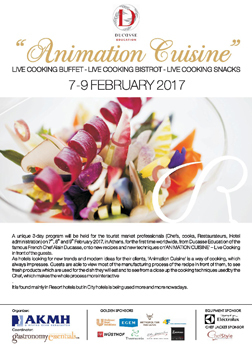 ANIMATION CUISINE - Live Cooking in front of the guests. The top layer of a wedding cake, known as the groom's cake, traditionally is a fruit cake. That way it will save until the first anniversary.